At our core, we believe that client interests always come first. Integrity is the cornerstone and that translates into independent, objective advice for our clients. At the heart of our culture is a commitment to excellence. This philosophy is woven into all that we do and is what makes the Alpha difference. Not all financial advisors are created equally. A financial advisor who has a financial stake in the course of action that he or she recommends to a client faces an inherent conflict of interest and cannot be considered objective and unbiased. This is true even if the planner truly believes that he or she has only the best interests of the client at heart. Unfortunately, the vast majority of financial advisors in the United States are brokers who sell financial products. Brokers and registered representatives earn commission revenues on each trade and are often incentivized to sell their firm’s proprietary products, generating even more income. This standard of care brokers are required to act under is referred to as a suitability standard. A Registered Investment Advisor (RIA) is held to a higher standard referred to as a fiduciary standard. They are required by regulator (State or SEC) to uphold a Fiduciary relationship which means clients’ interests must come first. Although RIAs are held to a fiduciary standard, they are not required to offer their services on a Fee-Only basis. Some offer “fee-based” services which can still include soft dollar arrangements or direct compensation from product sales which can result in clouded judgment and conflicted advice. As long as they disclose these conflicts to their clients in their firm brochure, they can still call themselves fiduciaries. Being Fee-Only means our only compensation is from fees we receive directly from clients for the advice we give. Because we are Fee-Only that means we do not participate in the fees of investment managers to whom we refer business, either directly or indirectly. Our recommendations are objective and conflict free. At Alpha, we believe in providing our clients with expertise validated by the most trusted professional organizations in the industry. 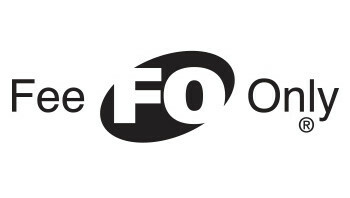 Must adhere to continuing education requirements (which are double the CFP® requirement). 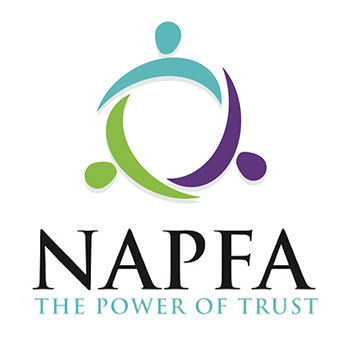 Since 2010, members of the firm have served in leadership roles within NAPFA. Who better to learn best practices from than members of the organization that is truly the “Standard Bearer of the Profession?” The Alpha Team feels a strong alignment with NAPFA’s core values and mission statements. This exemplifies our commitment to excellence. 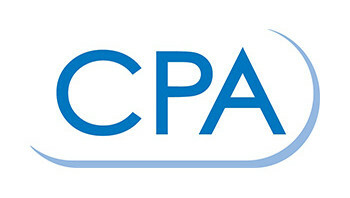 The American Institute of CPAs represents the CPA profession nationally regarding rule-making and standard-setting, and serves as an advocate before legislative bodies, public interest groups and other professional organizations. A Personal Financial Specialist (PFS) is a CPA who meets the financial planning requirements established by AICPA. These requirements include demonstrated requisite experience, education, examination, and ethical standards established by the AICPA. 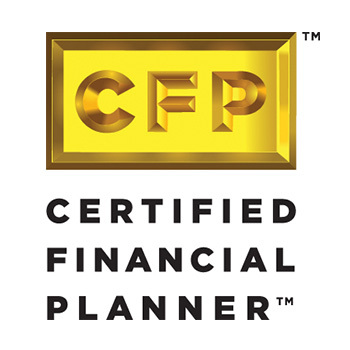 A CPA/PFS is a financial planner with the powerful combination of extensive tax expertise and comprehensive knowledge of financial planning. This knowledge is critical in obtaining the most valuable, objective advice possible. All areas of personal financial planning—including estate, retirement, investments and insurance—have tax implications, and the PFS professional has the experience, ethics, and expertise to get the job done right. To further our commitment to excellence, we are determined to deliver an exceptional client service experience. That means we must always listen closely and take our clients’ feedback very seriously. Alpha Financial Advisors formed its Client Advisory Board in 2007. The Board is comprised of 10 clients of various backgrounds who serve rotating 2 year terms. The meetings are moderated by a third party facilitator and designed to address candid feedback and insights into how we can best serve our clients. The Board’s role over the years has been instrumental in guiding critical decisions for the firm. The Board represents the “voice” of Alpha clients and we listen to it very closely.